Get a sense of the local culture at Via Condotti and Colosseum. Give yourself a bit of retail therapy at I Colori di Dentro di Maria Grazia Luffarelli and The shop of Marmoraro. The adventure continues: take in the dramatic natural features at Passeggiata di Gianicolo, ponder the design of Trevi Fountain, admire the masterpieces at Vatican Museums, and take a stroll through Trastevere. For photos, ratings, other places to visit, and tourist information, refer to the Rome trip maker website . If you are flying in from Brazil, the closest major airports are Leonardo da Vinci–Fiumicino Airport and Ciampino–G. B. Pastine International Airport. 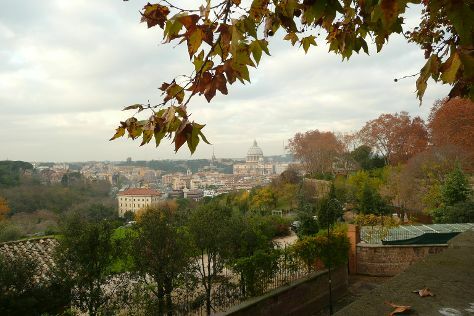 In January, daytime highs in Rome are 15°C, while nighttime lows are 4°C. Finish your sightseeing early on the 24th (Thu) so you can travel back home.